The creation and installation of a masterpiece. When you visit contemporary art museums such as the Whitney in Manhattan, the Pérez in Miami or the Tate Modern in the U.K., you are first struck by the architecture and space. Focusing on the art displayed within comes afterward. 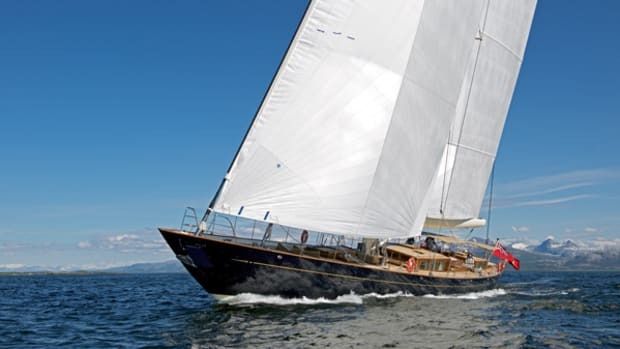 Stepping aboard the 244-foot (74.5-meter) Abeking & Rasmussen Elandess is a similar experience. First impressions are the exterior profile, the deck spaces—the envelope, as it were—and then, there is everything else. There is a lot to take in; Elandess has a mind-boggling multitude of design moves, each and every one carefully curated. The reading and viewing area en route to the forward observation lounge has windows that fully open to the side deck. 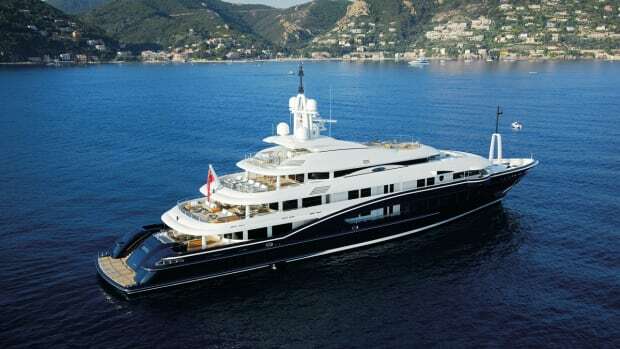 Elandess (pronounced “L and S”) is the third yacht for her British owner, who previously owned a 154-foot (47-meter) Heesen and a 197-foot (60-meter) Abeking of the same name. This time around, he wanted to create something different. Abeking brought in U.K.-based design studio Harrison Eidsgaard to forge a proposal. Peder Eidsgaard, one of the directors, took a gamble when presenting his design concept to the client. 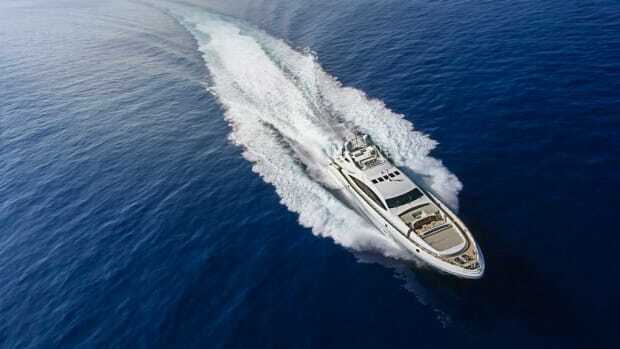 The ‘neptune’ lounge offers amazing views above and below the waterline. 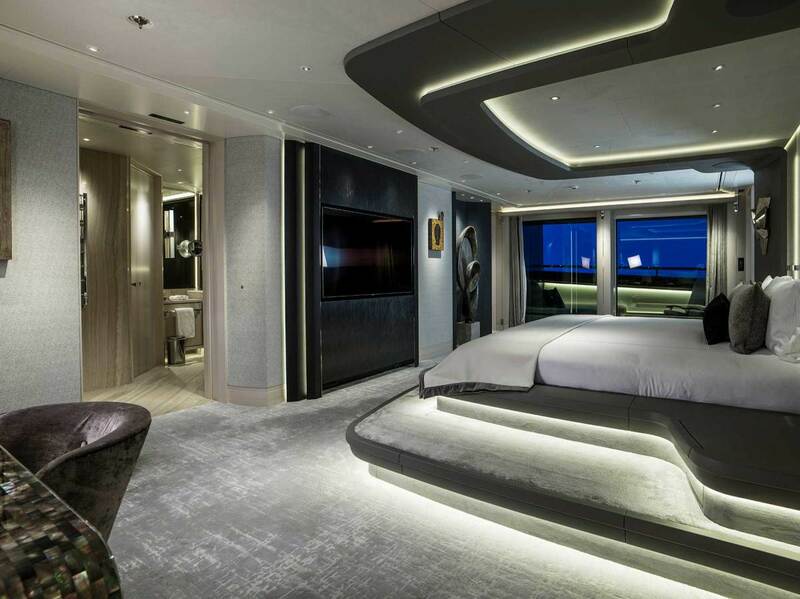 Tiered seating allows viewing fun for adults and children while the yacht is underway. The firm created the exterior and interior design for Elandess, and Eidsgaard spent the next six weeks redefining and tweaking designs. One month later, Abeking was awarded the build contract. Ed Beckett of Burgess Technical Services was brought in as the owner’s representative. Harrison Eidsgaard designed the hull shape from scratch. The profile is at once classic and modern. 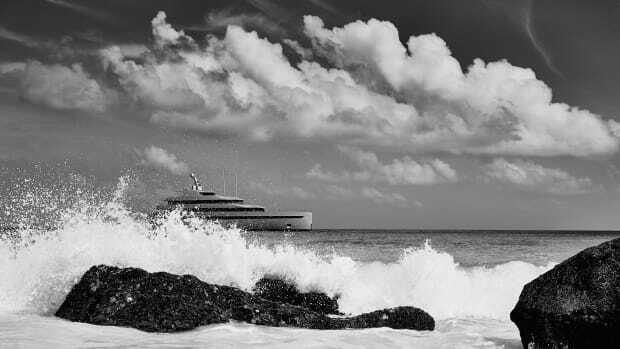 Taking inspiration from 20th-century, record-setting transatlantic ocean liners, Elandess sports a near vertical Atlantic bow. Eidsgaard drew the exterior lines the old-fashioned way, by hand. The pencil lines evoke a progressive, continuous flow with a nod to 20th-century liners. 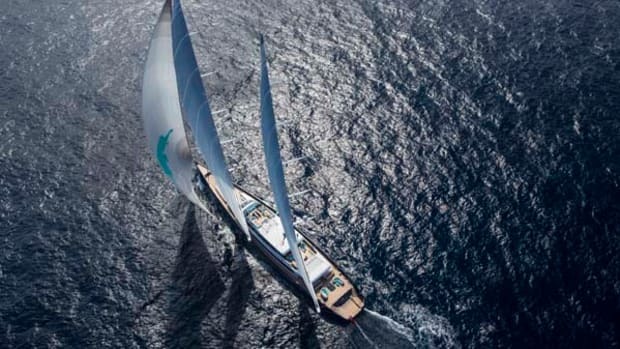 Computer-aided design followed, and the rest of the yacht is pure 21st century. 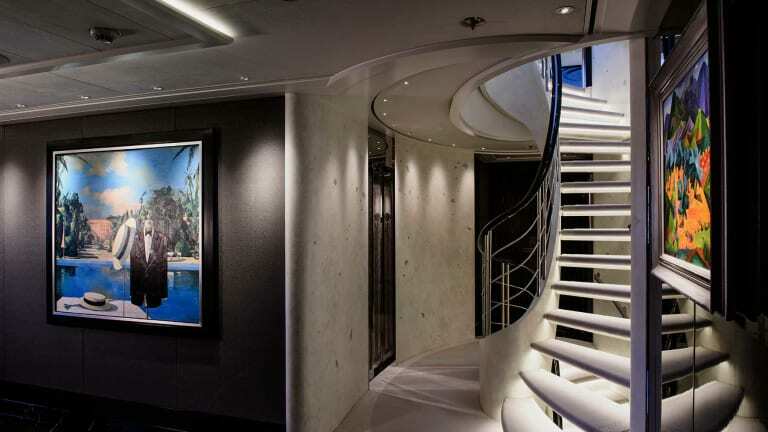 While the entirety of Elandess is a work of art, the yacht also serves as a showcase for the owner’s art collection. The owner took pride in being personally involved in hanging all the art pieces. The dining salon is adorned with original art as well. 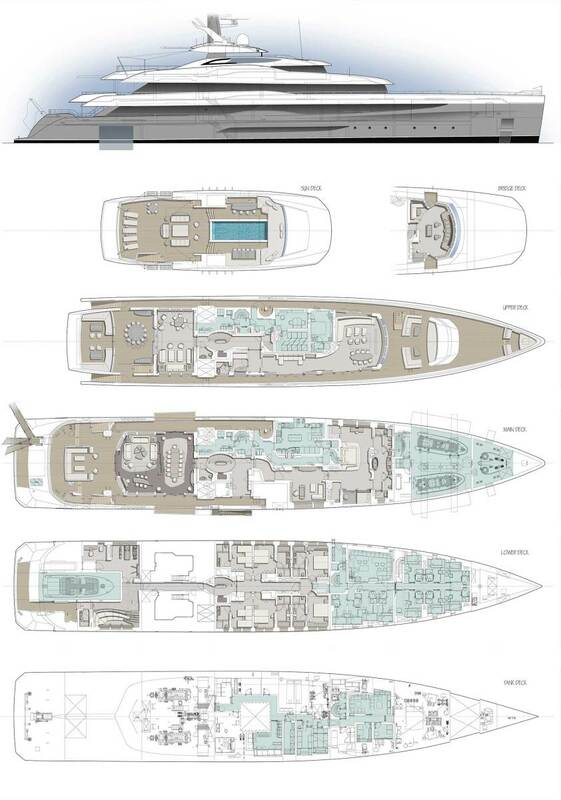 All details of the hull and superstructure have a continuity that carries over to the rest of the yacht. 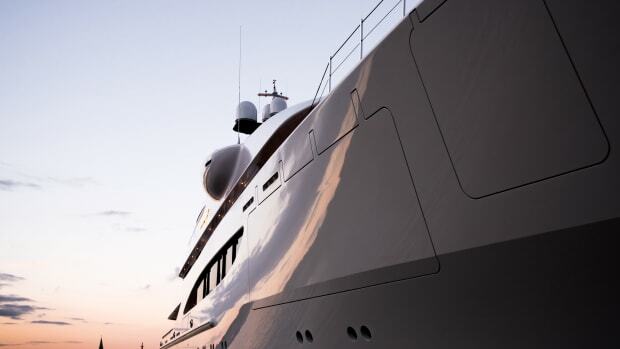 For instance, the gunmetal gray hull paint is also used on the top of the yacht to separate the mast elements, and to highlight a wing that supports the stainless-steel exhaust pipes. 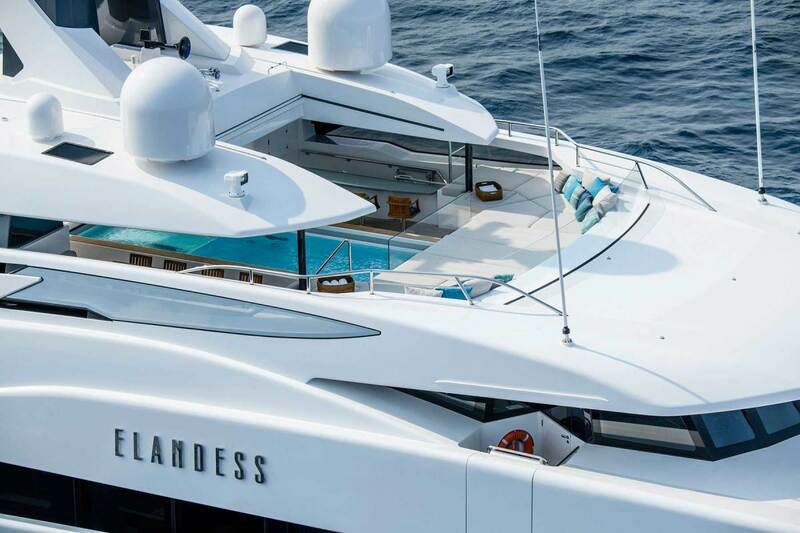 While the Harrison Eidsgaard team initially visited the client’s London apartment and the 197-foot Elandess to get a handle on how he and his wife lived, the client was clear that he wanted his new Elandess to be original. 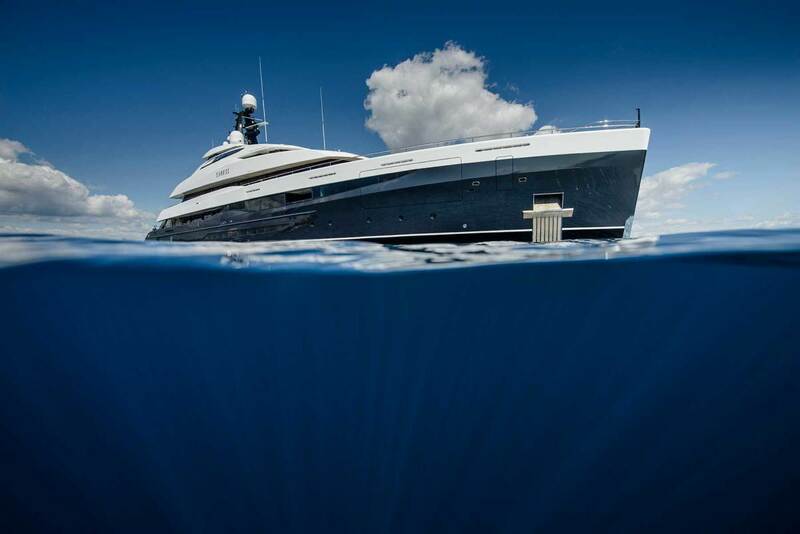 The yacht has many standout features. One is the central staircase, the top of which is capped by an oval glass skylight that is also the bottom of the sundeck swimming pool. Another interesting choice is the location of the elevator. The skylight at the top of the stairwell shows the glass bottom of the swimming pool on the sundeck. 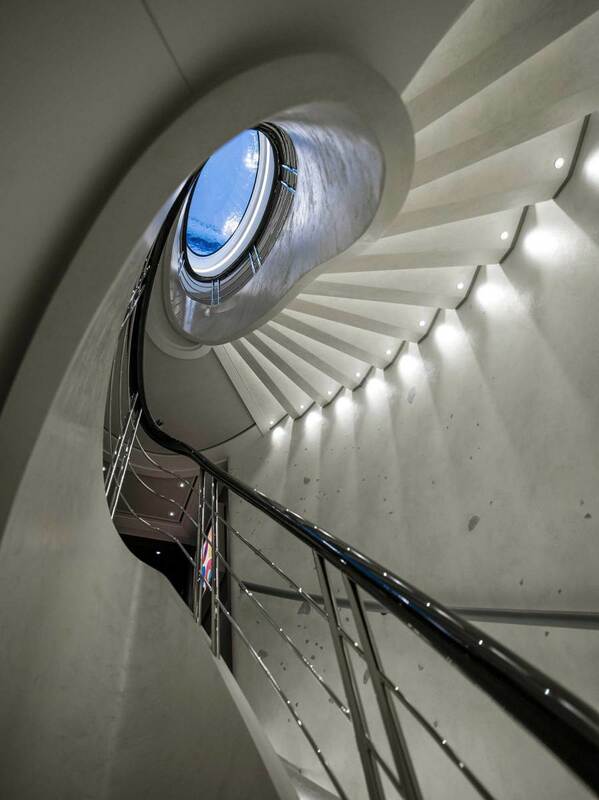 The spiral staircase is surrounded in an elegantly rustic finish of plaster and mother-of-pearl executed by U.K.-based DKT Artworks. The open-tread stairs provide sightlines across three decks. The light from the pool above flickers down the multiple levels. The owner wanted Elandess to cater to four generations in the family, from the elderly to the young. Safety and usability were paramount. There were also clear parameters regarding movement, flow, stateroom configuration, communal living areas, furniture, materials and fabrics. 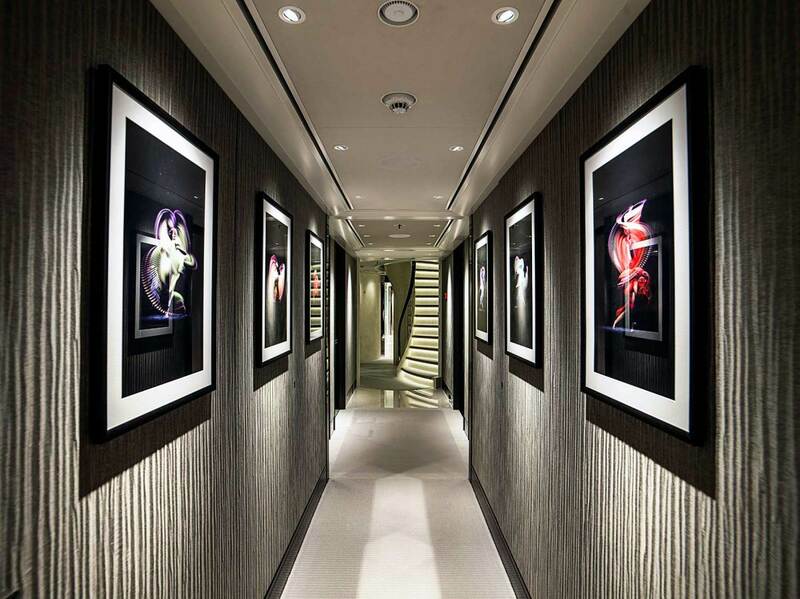 Elandess also serves as a showcase for the owner’s art collection. According to Ewa Eidsgaard, he likes characterful art, colorful pieces of furniture and bold fabrics. The design team created a restrained, natural architectural background so as not to compete with the featured pieces. The master suite has an elevated platform bed so the owners can enjoy a great sea view. According to Nick Houghton, the design firm’s project manager, the owner also cared a great deal about the framing and positioning of each artwork. Holding up the art on board Elandess for the owner to make decisions required several of the crew and designers for a number of days. 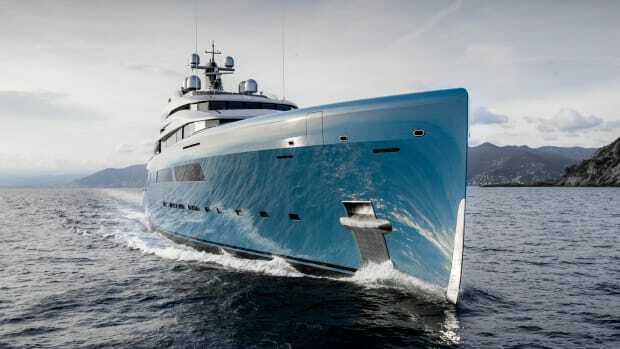 An artistic impression comes through in the yacht’s design choices as well. The main deck salon sports a dark wood wall to contrast with the light tones of the rest of the room. For this wall, Peder Eidsgaard incorporated a credenza and cupboard in gold, as well as four integrated lighting scones. The design concept worked because Abeking & Rasmussen and outfitter Rodiek Interiors in Germany made good on execution. “We designed all the furniture on board,” Houghton says, “including every sofa and also everything on the owners’ deck in glass and metal with integrated lighting.” The desk is like a sculpture, creating a centerpiece in the office. 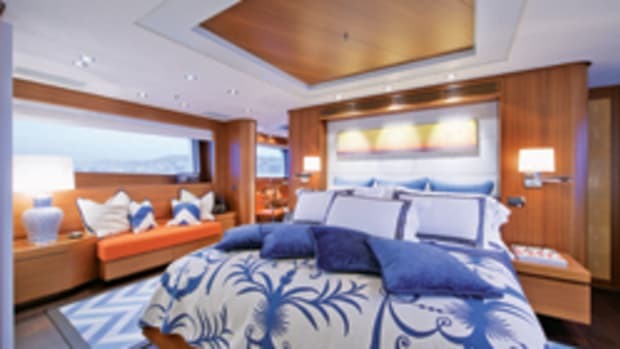 Other standout features include the lower-deck “neptune” lounge and upper-deck observation lounge. The neptune lounge, with tiered seating in dark blue wood and outdoor chenille fabric, offers an incomparable view of what lies beneath and above the sea. (A third of the window is submerged.) 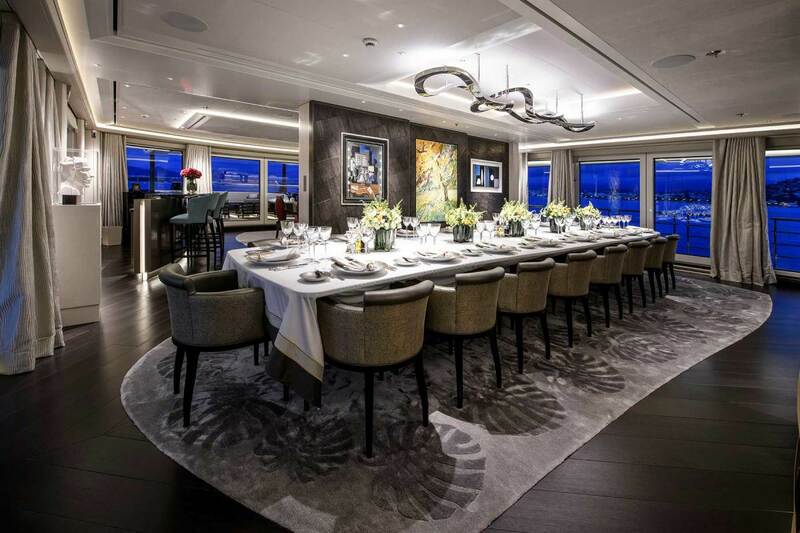 Creating this space required engineering by Abeking & Rasmussen, while GL Yachtverglasung provided six glass panels nearly 4 inches thick that required a crane for installation. “They are so strong that they do not require storm shutters,” says Andre Jonker, project manager at Abeking & Rasmussen. The forward–facing observation lounge on the upper deck has full-height windows, and it transforms into a cinema room with blackout curtains. 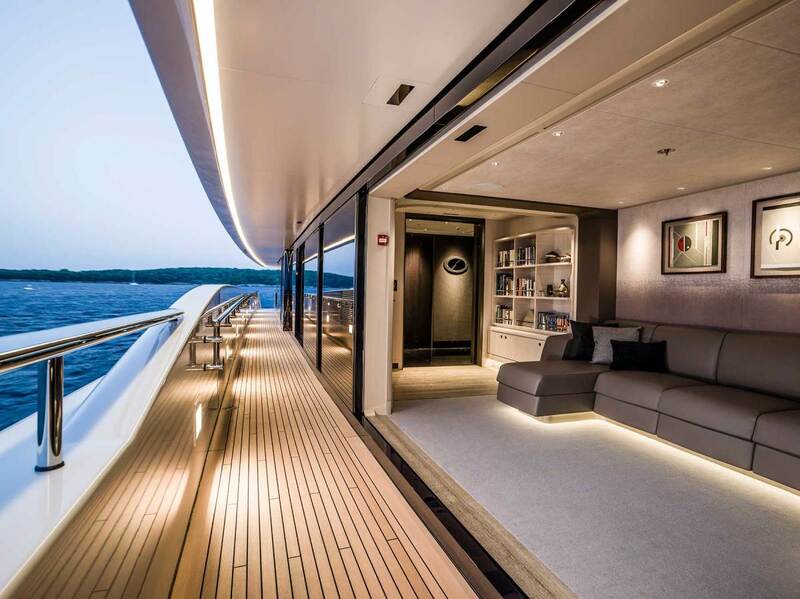 Throughout the yacht, there is always a choice to be connected to the sea or to be content within. 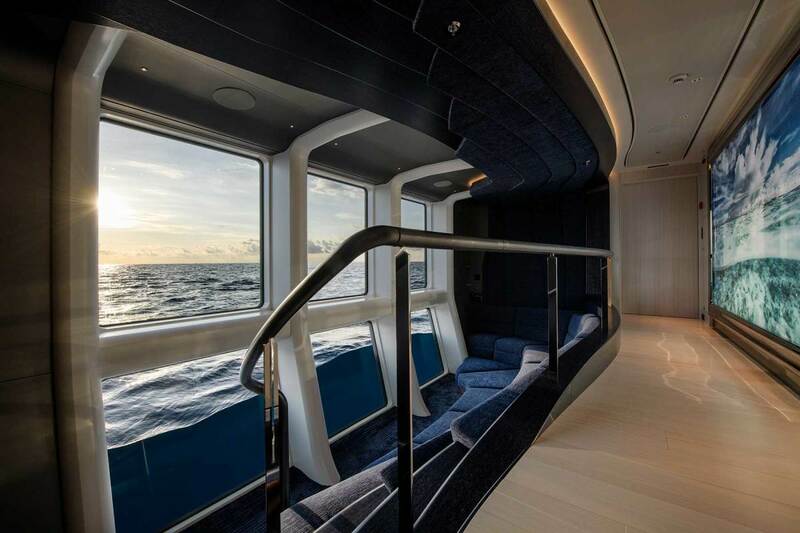 On the starboard-side companionway to the observation lounge, a midway point can be used as a reading and viewing area, as it has full-height windows and sliding doors. When you visit an art museum in a group, people are bound to go off in different directions, but there is always something that appeals to everyone. 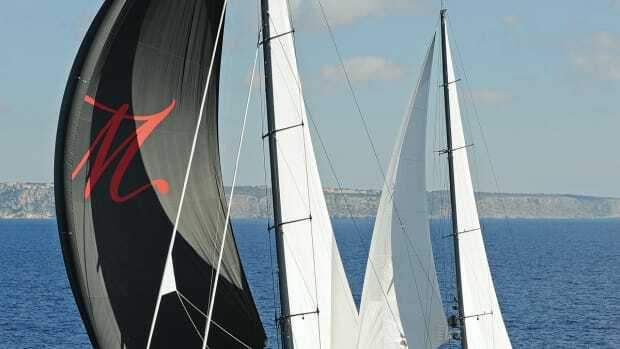 After a season of travels aboard Elandess, the owner and his family have discovered the art of pure enjoyment.